Smartphone Trends 2019: What More You Can Expect? Home PHONES Smartphone Trends 2019: What More You Can Expect? Trends For Upcoming Smartphones 2019: What’s Coming Next? The current year, 2018 has been a year full of notched Phones. When it comes to smartphone innovation, technology geeks want something more fascinating. Hopefully, Smartphone trends would be much more than the notched smartphone. 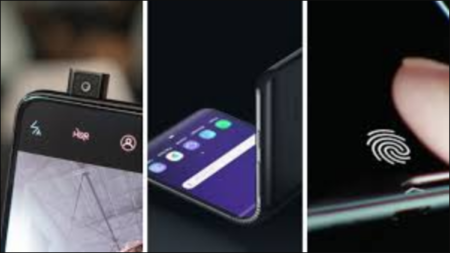 Royale Corporation launched the world’s first foldable smartphone, FlexPai in November 2018. Whereas Samsung, Huawei, and other brands are still working on their foldable phone. Samsung Galaxy F/X is one of the most anticipated smartphones 2019. It is the most futuristic design trend coming soon to mobile. Most of the Brands have officially announced their plans for a foldable smartphone. This will be helpful for those who carry a smartphone as well as tablets with them. How many cameras do you need to click a good photograph? One? Two? What if you get more than that? Having a dual camera smartphone is something not to boast about, I guess. With the Triple camera setup in Huawei’s P20 Pro, Multiple camera module is one of the Smartphone trends 2019. Samsung is working on Galaxy S10 which is expected to have a triple camera setup. Galaxy A9(2018) is the first device to have the Quad-camera setup, Huawei started the trend of having more than two-three cameras, though. If these much cameras are not enough, then be ready for Nokia 9 PureView which will come with Penta-lens camera. Considering the fact of increasing number of cameras, Upcoming mobile phones 2019 are expected to come up with multiple camera setup. The single and dual camera will slowly vanish from the market. While designing bezel-less smartphone, manufacturers may have a solution for a fingerprint sensor but a front camera definitely needs a space on the screen. To overcome this problem Samsung, Huawei came up with ‘punch-hole’ display camera cut out. Initiated by Samsung Galaxy A8s and Huawei Nova 4, be ready to see upcoming mobiles in 2019 with Infinity-O display. Honor View 20 will launch on 22 January 2019 with the punch-hole camera. In-display fingerprint sensors are not the exactly new trend. But it is not mainstream yet. Most of these sensors are used in Vivo mobile phones. Recently Oppo and Xiaomi joined Vivo in this trend with their Find X and Mi 8 edition respectively. However, the regular fingerprint scanners work fine. But in-display fingerprint scanner enables more space on the phone for users. The upcoming Xiaomi Mi Mix 3 and Lenovo Z5 Pro will both feature an in-display fingerprint reader, as per the reports. Having a 5G support on the list of smartphone trends is quite debatable as we are not sure to have 5G connectivity on a majority of coming devices. We are expecting to have 5G support on devices launched by major brands. Samsung Galaxy S10 is one of those smartphones which is expected to have 5G connectivity. Qualcomm unveiled its Snapdragon 855 processor to support 5G connectivity. At that event, Pete Lau, CEO claimed that the next OnePlus’ 5G smartphone would be among the first smartphone to use Snapdragon 855 chipset. OnePlus 7 may be its first smartphone with 5G connectivity. 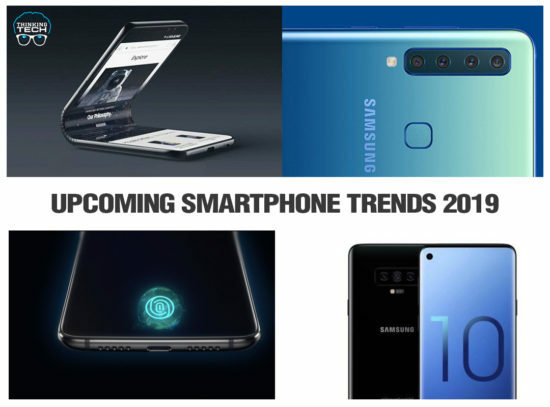 Which One of Smartphone Trends 2019 You are waiting for? Or Is there anything more exciting you are expecting in Upcoming mobiles in 2019?